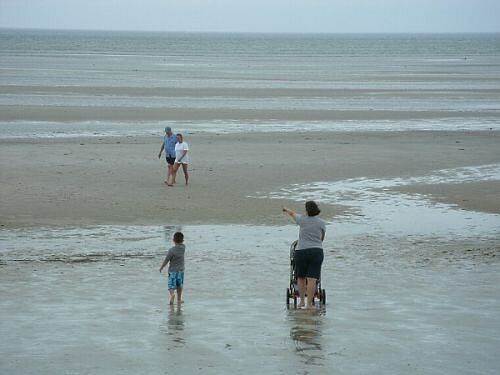 The town of Orleans MA draws families of vacationers back again and again, generation after generation. And its easy to see why. 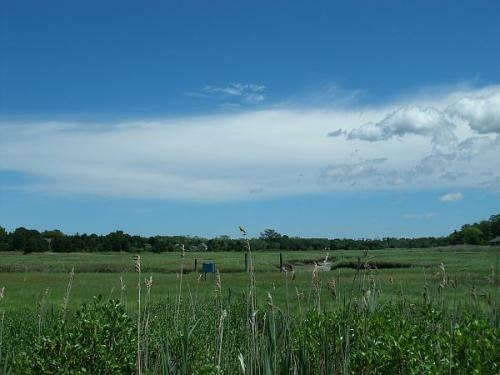 Known as the commercial hub of the Lower Cape Cod region, Orleans is a "year-round town" with all the conveniences of modern-day suburbia, like grocery stores, gas stations, pharmacies, shopping centers, and a host of professional services. For visitors and locals alike, the downtown area is a hotspot for great shopping, good food, and its walkable Main Street. Just a short distance from the busy downtown, the scenery changes to quiet family neighborhoods and pretty country lanes. Whether you're in town or on the outskirts, the waterfront is only a quick drive or bike ride away. 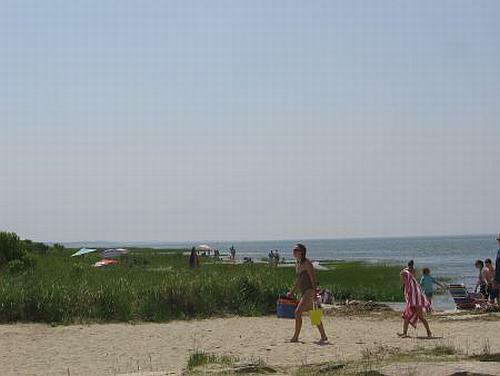 Set in the crook of the "arm" of Cape Cod, the town of Orleans is just over half-way between the Cape Cod Canal and Provincetown. Zoom out on the map [-] to see Orleans in relation to other towns on Cape Cod. It's about 90 road miles from Boston or Providence RI to Orleans, and 270 miles from New York City. Once you've crossed over the Bourne or Sagamore Bridge, you'll have about a 40 mile drive ahead of you on Rte. 6 (the Mid-Cape Highway) to reach Orleans. Driving Tip: If you hear that traffic is backed up on the Mid-Cape Highway, consider taking Rte. 6A (Old Kings Highway) to Orleans. It's a more "leisurely" road and an incredibly scenic drive! 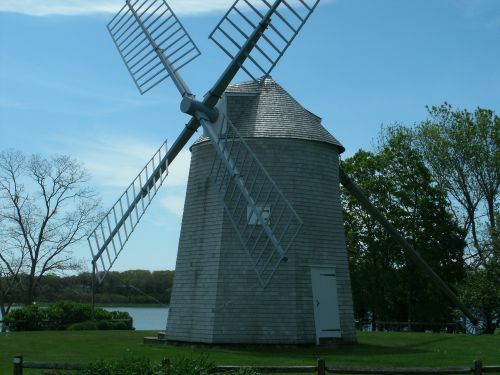 Is Orleans the Best Cape Cod Vacation Town for You? 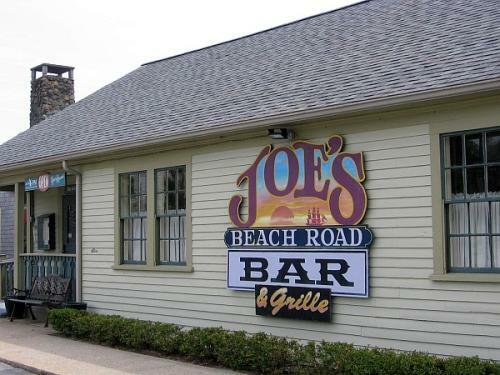 Orleans, Massachusetts is a town that appeals to everyone. That's due in large part to Orleans' nice balance of in-town and "great outdoors" atmosphere, combined with a friendly hometown vibe. 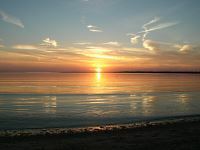 Families have beaches, bike trails, museums, mini golf, parks and playgrounds, ice cream stands, tee shirt shops, and plenty of special events to keep everyone busy. For couples, there are quiet, hidden spots to get away from the hubbub and spend some alone time together. And for singles, there's more than enough day and nightlife in town and nearby to enjoy with your friends - and meet new ones! The town has hundreds of vacation rentals, a good number of lovely B&Bs and inns, and a few locally owned hotels and motels. If you'll be here for a week or more, I'd recommend that you consider renting a house or cottage. That'll give you a wide range of location options, tons of at-home conveniences, and much better overall value for the dollar, IMHO. This is a town that has lots going on, all year round. CG36500 - In February 1952, this famous little Coast Guard boat and her heroic 4-man crew braved hurricane force winds and 60-foot seas to rescue survivors from the SS Pendleton wreck off the coast of Cape Cod. 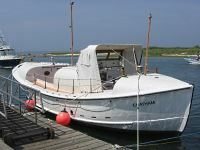 She's docked at Rock Harbor in the summer months. Come see her! 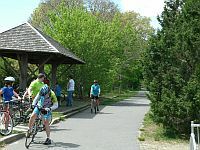 Bike Paths - From Orleans, you can ride all the way to Dennis in the middle of Cape Cod, or out to Wellfleet on the National Seashore. 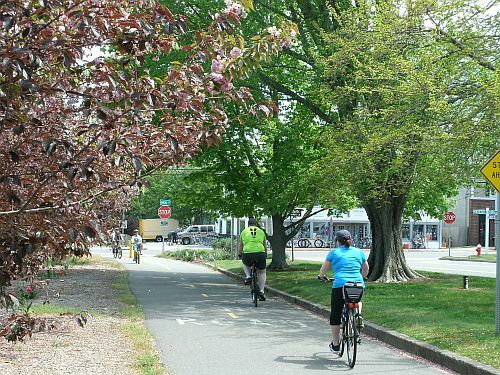 The town's easy-to-pedal bike paths are also a great, traffic-avoiding way to get into downtown for shopping, sightseeing and a bite to eat. 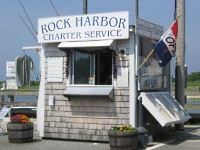 Fishing Charters - For anyone who wants to wet a line and catch dinner, Rock Harbor is home to Orleans' fleet of fishing charters. Take the family or a couple buddies out for a half or full day of tight lines on striped bass, bluefish, or tuna on Cape Cod Bay. 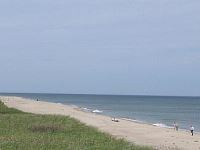 Nauset Beach - This is my #1 absolutely-most-favorite place in the entire town of Orleans. Peaceful in the off-season, easy to escape the crowds in the summer. Nirvana! 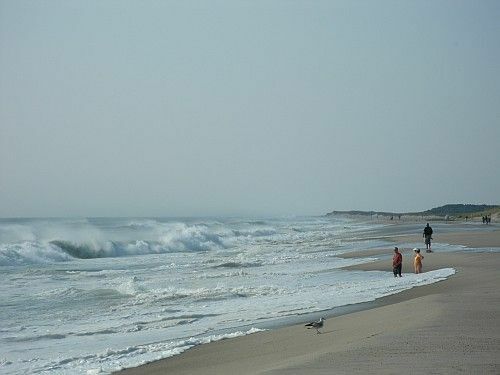 The beauty of this beach is unsurpassed ... and the world-famous onion rings at Liam's (the beachfront restaurant) are darn good, too! Brilliant reds, yellows and golds, splashed across the sky and reflecting off the wet sand and water ... Ohhhhh, ahhhhh!